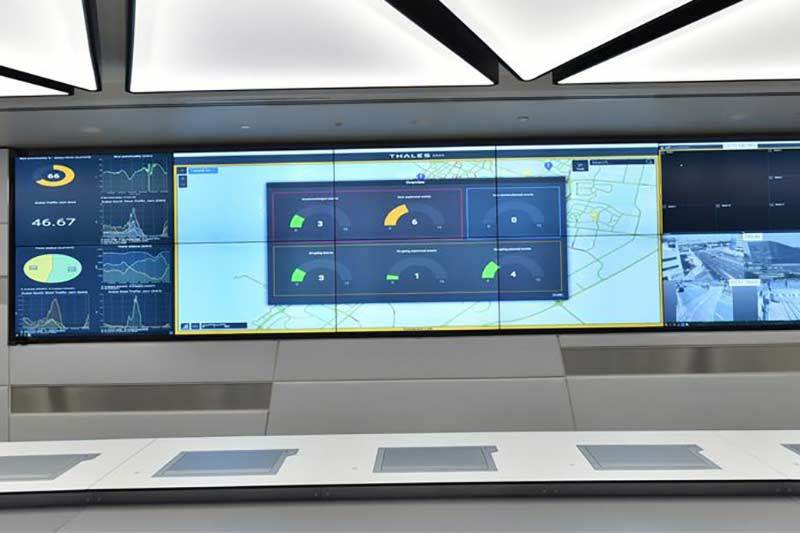 An Enterprise Command & Control Centre (EC3) was launched for Dubai Roads & Transport Authority (RTA) for integrated control of various transit systems. It will enable informed decision-making through big data analytics, support the organisation of mega events, assist in emergency and crisis management, and facilitate the investigation of transport accidents. EC3 will also be responsible for protecting RTA’s operational, technological systems from threats & security risks. Built at a cost of AED 335 million (USD 91 million), the EC3 encompasses control of all mass transit systems in Dubai, namely the Dubai Metro, Dubai Tram, public buses, taxis and marine transit modes in addition to the traffic control systems. EC3 is expected to enable the development of proper mobility plans to cope with various transport challenges in the Emirate. EC3 links the controls of RTA operational agencies with a central, integrated control system unit. At a later stage, the system will be connected with other entities of relevance to RTA business. It receives and manages the feed from around 11,231 surveillance cameras. The control system has a population density feature, which tracks crowd movement using aggregated data from mobile phones and telecommunications providers, displaying human density points as heat maps on the main display screen of the operation platform. This can be used for matching movement of people with means of transport, directing transport to serve public requirements in a responsive fashion. Drones are also used to monitor movement. 3D maps further assist analysis and planning. EC3 utilises artificial intelligence (AI) for the management of accidents and crises. AI technology enables the instant entry of voice commands from emergency teams into the system. Embedded machine learning helps the system in tackling emergencies, by simulating various scenarios and reducing response time and human error. In other recent technological initiatives, RTA has been working on smart autonomous vehicles for public transport and smart street lighting.